Your business might have installed security systems in office areas and you may have security checks in your accounting software. There are procedures implemented to stop fraud, but, even then, fraudulent practices can be brewing. As a small business owner, you must not only rely on carrying out day to day business operations and bookkeeping duties. You must keep a close look for warning signs that may indicate your business is a victim of fraud. 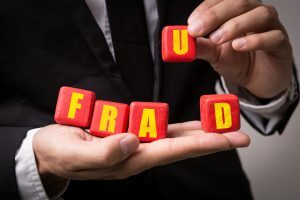 Here are some simple but important warning signs that indicate your business is vulnerable to fraud. If you have given too much access to the financial bookkeeping of your business, then your business is already at risk of fraud. A single employee should not be given all of the access to receiving cash, payments, tracking expenses and various other bookkeeping functions. Instead, separate your employees for different steps of bookkeeping management. There should be separate people for bank transactions, expenses, receiving cash from customers, paying bills, and bank deposits. If you have an electronic system or your accounting statements are done manually on a register, the financial statements should match with the cash flow statements and balance sheet. In manual bookkeeping, there is always a chance of honest error, but keep an eye on any difference in the amount in accounting statements. If one of your employees starts spending more than usual, keep a close eye on their activities in your business functions. There is a possibility they might be involved in some kind of fraudulent practice. A fixed pay usually does not leave room for spending extra than actual needs. Most of the frauds in small business are done to meet desperate ends for an employee. A simple relaxation and support in a time of distress, such as flexible office times, make your employees more loyal to the company. Get to know your employees and let them know that you support them. This will make it harder for them to be disloyal to you. If there are numerous transactions to clear errors, it might be done in an attempt to hide some fraud. If there is more than one payment for a single bill, it again might be the case of fraud. Always keep a sharp eye on the bookkeeping in your business. Employees of a business are given various privileges. They can be paid credit for the phone calls they make during business functions. Many are provided with fuel for their cars or other travel and transportation expenses. Some employees may try to earn a profit for themselves out of the expenses that your company pays. For example, say they get a $15 bill for a taxi-ride which can easily be availed in less than $10. Many use office phones for private calls. To minimize personal profits on such claims, a receipt should be asked for to accompany the claim from the employee. Many businesses give corporate credit cards to its employees when they are going on a business trip. When the credit card bill arrives, do not blindly sign the bill. Check the outlets where this card had been used. Your business money should not be used for an employee’s recreational activities during business trips other than necessary expenses, unless approved beforehand. Many frauds fall into a double billing fraud type. An employee uses a business credit card for making an expense. Then they again submit the receipt for the same expense to reimburse the money, hoping you won’t notice. There should be a strict procedure to keep a check and balance on double billing frauds. If an employee is working alone in a company and is not allowing others to “look over their should”, if you will, a check on their activities must be kept. They might be involved in fraudulent practices and attempting to hide their activities. If an employee has a routine of unusual working hours, they might also be involved in some kind of fraud in your business bookkeeping. For example, he/she is leaving later than normal office times and doing overtime without a demand for extra payment. These are signs of some kind of special interest in your business that lead to negative behavior. Your business can be more vulnerable to fraud than you think, even if you have safety measures in place. You must be aware of unusual practices going on in your office. Build a good relationship with your employees. At the same time, keep a close look on the practices going on in your office to prevent fraud in your business. https://www.completecontroller.com/wp-content/uploads/cclogo_main-long-300x63.png 0 0 Complete Controller https://www.completecontroller.com/wp-content/uploads/cclogo_main-long-300x63.png Complete Controller2018-12-27 09:52:252018-12-27 13:30:09What are Telltale Signs that Your Business is the Victim of Fraud?